Here’s a brief tutorial that shows how to install Komodo Edit with Unity integration in Ubuntu 16.04 LTS via PPA. Komodo Edit is an open-source code editor based on Komodo IDE. Its website provides official Linux packages, but lacks global menu and application shortcut for Ubuntu Unity desktop. 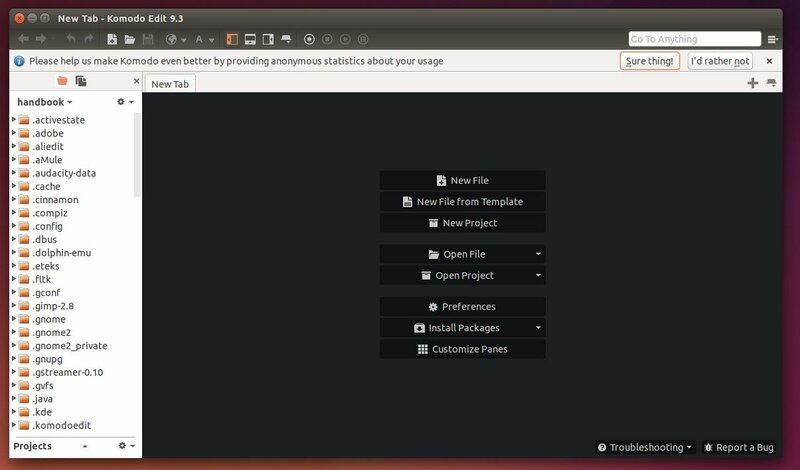 Mystic-Mirage is maintaining a PPA contains unofficial Komodo Edit packages with patches for Ubuntu integration. Support for Ubuntu 16.04 was added a few days ago. Type in your password (no visual feedback) when it asks and then hit Enter to continue. 2. After added the PPA, search for and install komodo-edit via Synaptic Package Manager after clicking Refresh. For those who don’t want to add PPA, grab the .deb installer from PPA file archive.